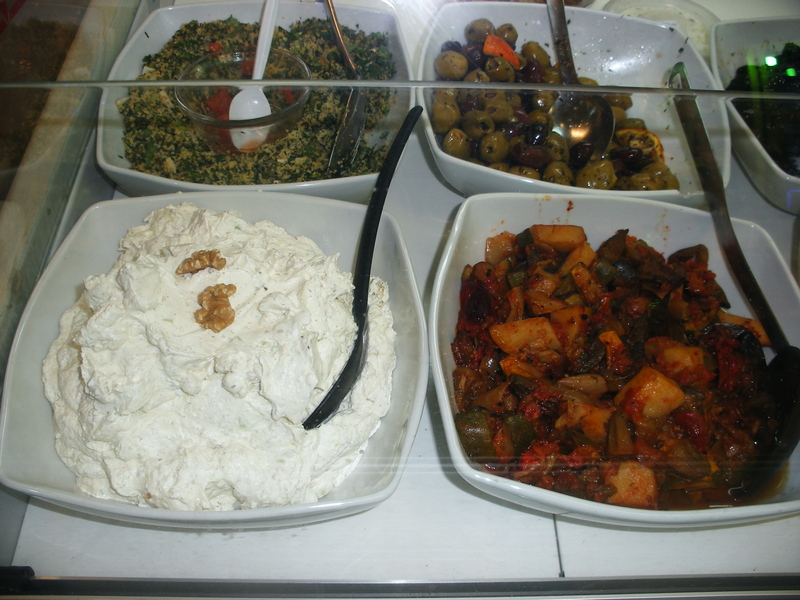 Labneh is basically thickened (strained), salted yoghurt. I have already waxed lyrical about it within the pages of Veggiestan, but here is yet another example of just how very versatile the stuff is. Kind of intuitive this, no? Just beat all the ingredients together into a thick paste. Cover and chill. This should keep for up to a week, if you can leave it alone. *If you can’t find any to buy, just strain regular yoghurt through a piece of muslin/old tea towel over the sink. Season lightly with salt and chill until needed. The yoghurt, that is, not you, although if you wish you may do the same. **Arabic word for thyme, although in this context it means crushed thyme with sumac, sesame and salt. ***This is a ‘warm’ (garm) substance in terms of its effect on your constitution, and helps guard against the ‘cold’ (sard) of the yoghurt. It is readily available in Persian stores and silly yellow cornershops up and down the land(s). This entry was posted in Recipes and tagged dip, golpar, meze, Persian hogwort, sardi/garmi, spiced labneh, yoghurt, za'atar. Bookmark the permalink.